In 2014, the award-winning Hip Hop artist Supaman performed his Prayer Loop Song in the news studio of the Billings Gazette, which was recorded and released on YouTube. The video, which has since received over 918,700 views online is a testament to Supaman's talent as a hip-hop artist well as popularity in Indian Country. To add to this credibility, he is also a recipient of an Aboriginal Peoples Music Choice Award, a Native American Music Award, a North American Indigenous Music Award and is a 7-time Tuney Award winner. 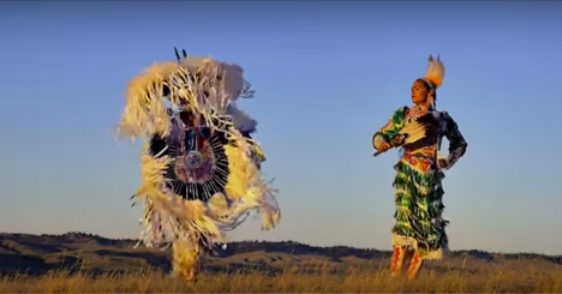 In his video Why, which is a musical track that will be featured on his upcoming album, Supaman is accompanied by world champion Jingle dancer Acosia Red Elk. Why was directed by Tom Clement. Responses to "Native American Hip Hop Artist Combines Traditional Music And Modern Beats"